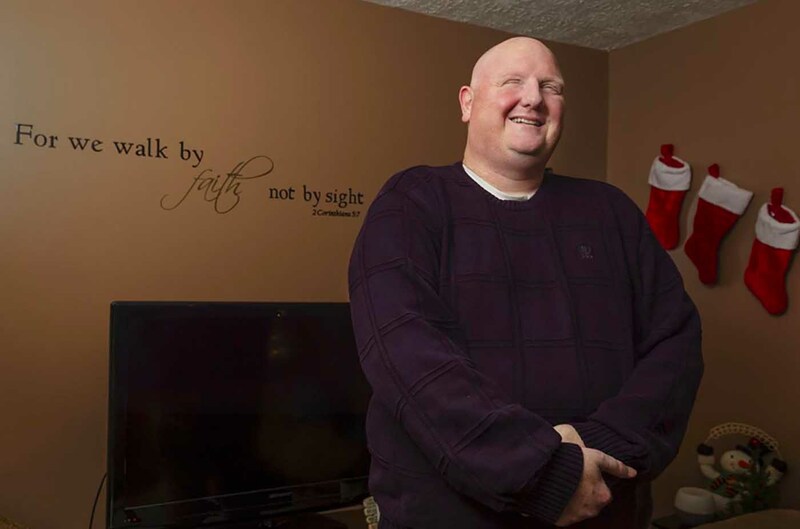 Delegate-elect Eric Porterfield inside his home in Princeton earlier this month. Porterfield was blinded in a traumatic incident 12 years ago. 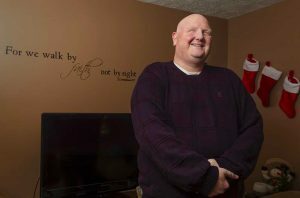 PRINCETON, W.Va. – You could learn something about Eric Porterfield by reading the writing on the wall. Literally. A Bible verse — “For we walk by faith, not by sight” — sits in black text on a partition facing his front door. Porterfield, 44, was elected in November to serve the West Virginia House of Delegates, after surviving a crowded Republican primary by an eight-vote margin. He believes he will be the second blind member of the chamber. Delegate Robert Hunt, D-Barbour, was the first, elected in 1948.